Businesses in the eCommerece sector face the monthly challenge of preparing the large amount of transaction data (sales, returns and warehouse transfers) in such a way that this data basis can be used as a basis for the sales tax to be paid to the relevant tax authorities. Since these data are already available in the corresponding pre-systems (e.g. JTL, Pentymarkets, Afterbuy, different ERP systems, etc.) from online sellers who sell their products on different platforms, it makes sense to use them automatically for the calculation of the VAT without further manual intervention. 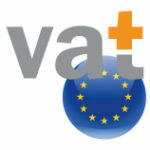 amavat® is constantly engaged in developing integration solutions with selected partners, which enable companies in the eCommerce sector to use these software systems to automatically prepare the data in our amavat® format and send it to us electronically in order to comply with your obligations regarding the European VAT regulations. We support our clients in making optimal use of their investments in this IT system and at the same time comply with the complex European VAT regulations in a very effective way by providing complete proof of all documents generated. The companies listed below have worked with us to develop solutions which we have tested and which are used by many of our clients. They have therefore been accepted into the circle of our amavat® ‘Certified Integration Partners’. If you as an online seller use software solutions of one of these partner companies, we can guarantee that the data transfer to our IT systems will run smoothly and that all data can be transferred to us automatically in the appropriate amavat® format. A manual upload of the monthly transaction data is therefore not necessary. This saves time and money. If you are a software company offering solutions for online sellers and would like to provide your customers with an automatic upload of transaction data, please do not hesitate to contact us. Data Collection – All required data are collected automatically via programming interfaces (APIs) – from your Amazon or eBay accounts or your own shop. Note: At the moment Taxdoo offer their services only for Amazon Sellers from Germany and Austria. 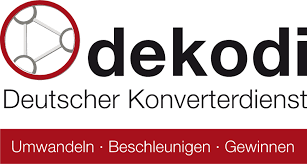 Since the beginning of 2019, dekodi has been amavat certified integration partner: Thanks to the cooperation with dekodi, it is now possible to report VAT data in all 28 EU member states fully automatically from the eCommerce software Nexus. Jera GmbH, based in Vörstetten near Freiburg im Breisgau, was founded in 2013. The focus of Jera’s activities is on the individual programming of software in the area of the development of interfaces to financial accounting for online trading. Jera is also a licensed distributor of the ERP software mesonic WinLine. Here Jera can fall back on 15 years of experience in adaptation and further development, as well as in project management and support. Installation, configuration and product training of the in-house developed ERP software as well as the supported ERP software is offered as a service. 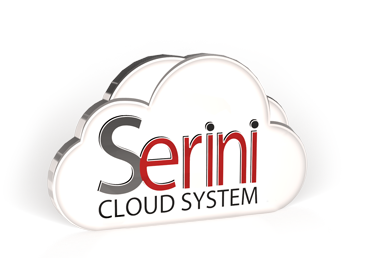 Serini Cloud is an ERP modular system designed to effectively integrate multiple platforms and applications. 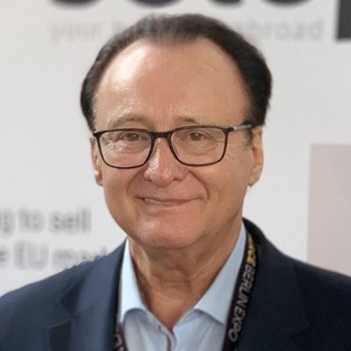 It is intended for customers selling domestic and foreign through Allegro, eBay, Amazon, Amazon FBA, e-commerce stores and accounting and accounting systems. Our system combines all these platforms to maximize the effectiveness of the entire company. For over 16 years, we have been freeing our customers from routine, repetitive tasks so that they can concentrate on what they like most = developing their business innovatively and multiplying money. Until now, TaskCentre has regained time and increased work efficiency in more than 5,000 companies around the world, including Microsoft, Rolls-Royce, BP, HSBC, Disney, NASDAQ. In Poland, at this point, we successfully carry out repeatable activities and eliminate human errors in nearly 100 companies, 24 hours a day, 7 days a week.